The answer is “InstCube”. The wall-mounted unit, fitted with a Omron digital indicating controller and power relay, is a self-contained over-temperature control unit, which just plugs into your existing system. No wiring, no fuss. 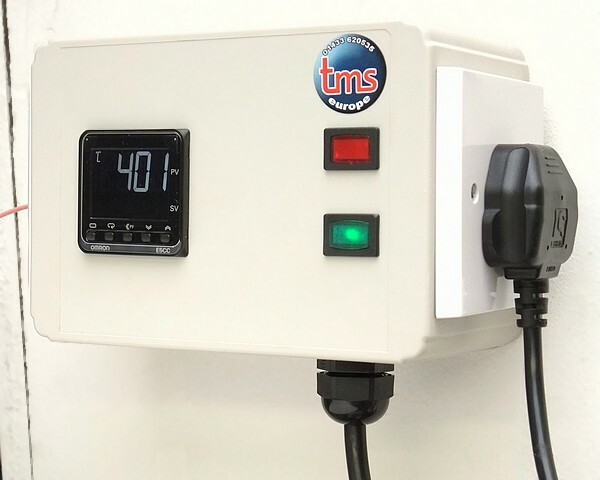 Fitted with a 13 amp UK plug for a 230V socket, and a 13 amp controlled output socket in which to plug the furnace, oven or incubator to be protected, it comes complete with a type ‘N’ thermocouple (3mm diameter, 300mm long plus 2 metres of lead) to put into your process, covering the range 0 to 1300°C. 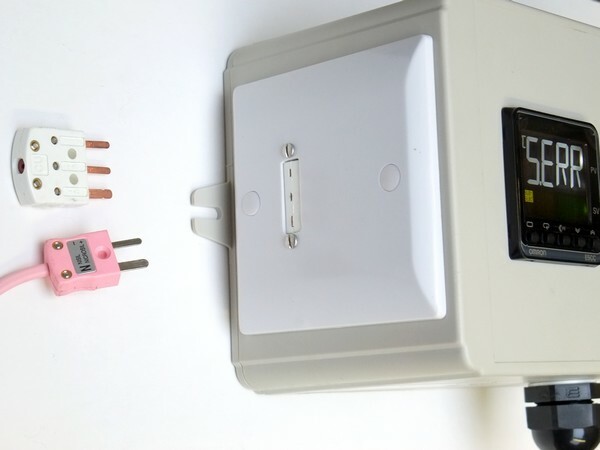 The unit has a loud audible buzzer alarm that can be configured independently of the output alarm or disable. The controller displays the current temperature measured by the thermocouple, to either 1° or 0.1° resolution (depending on configuration). 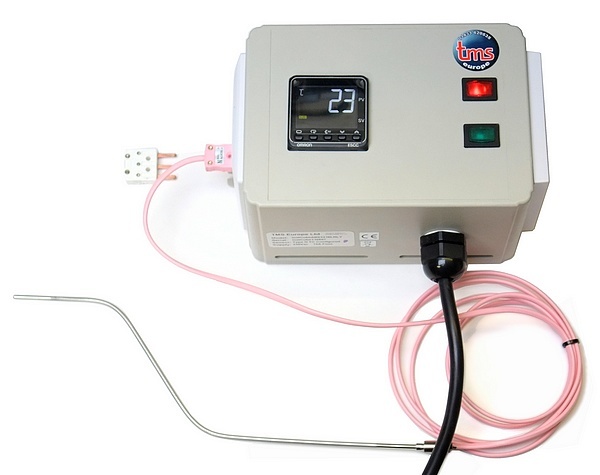 The unit can also be used with other types of thermocouple or an RTD by reconfiguring the controller. 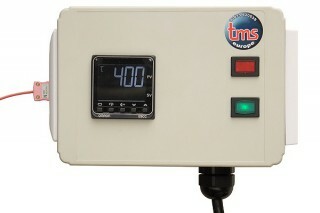 The unit can be configured to ‘latch’ if thermocouple input temperature goes above the controller’s alarm value (the alarm will need to be acknowledged by the user before power is restored to the connected load) or to restore the power once the thermocouple input temperature goes below the controller’s alarm value.